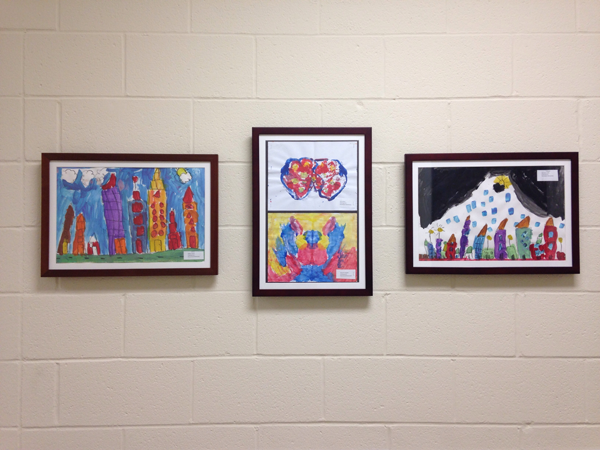 5th grade recently learned all about surrealism. 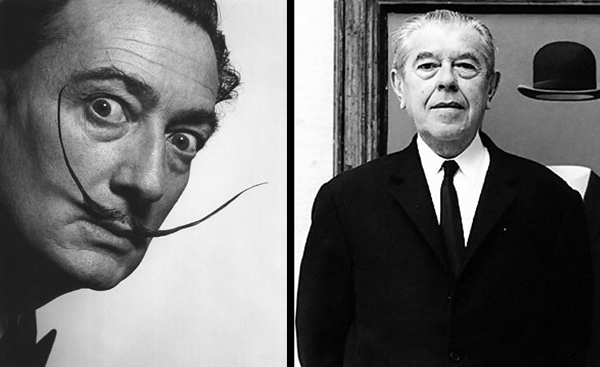 They studied the work of Salvador Dalí and René Magritte while creating their own surreal self-portraits. 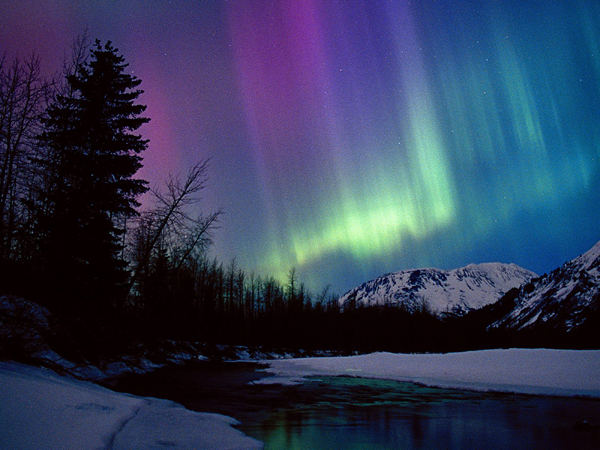 They also just started a project exploring the Northern Lights. 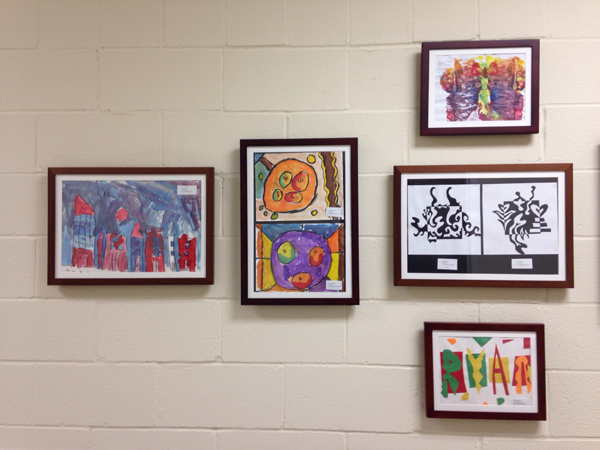 They are experimenting with different watercolor techniques including wet-on-wet painting and salt crystallization. 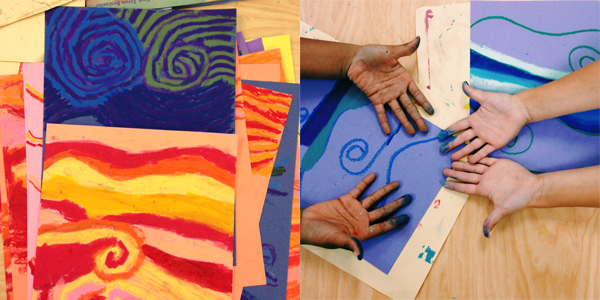 It is so fun watching the salt create different textures on the paper! 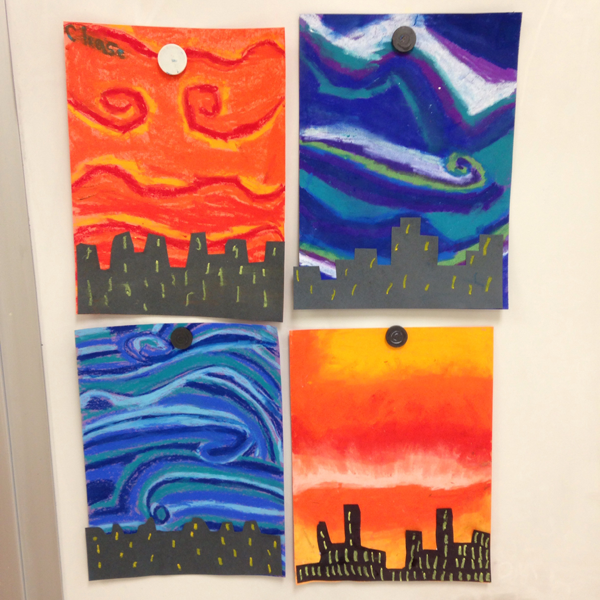 They are then using chalk pastels to mimic the beautiful lines of the aurora borealis. 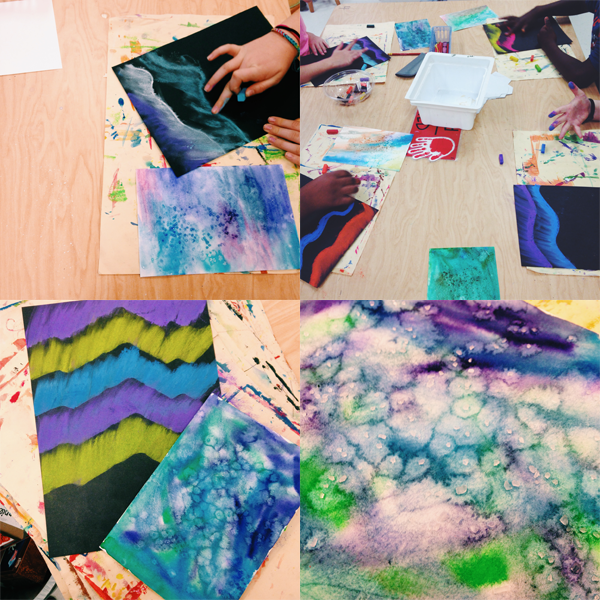 Next rotation we will use the watercolor paper to create mountains under our chalk skies! 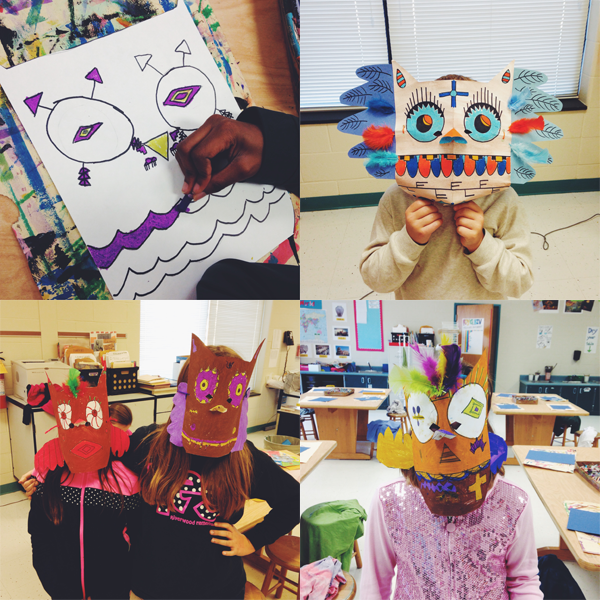 4th grade continued their study of the complementary colors while creating Native American owl masks. 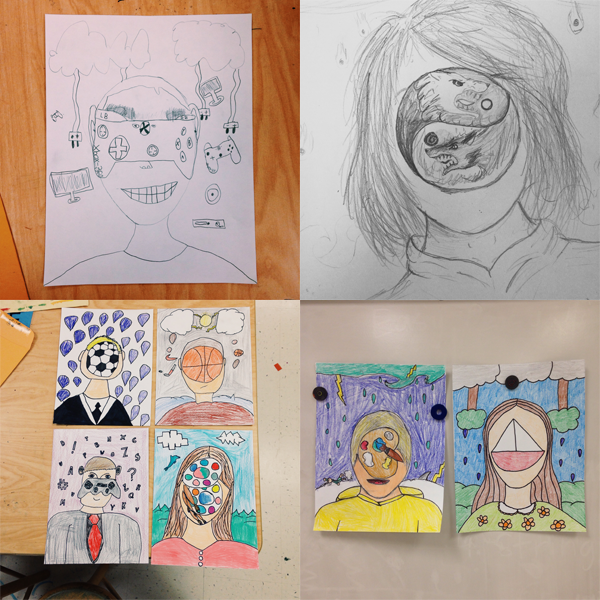 They explored symbolism while creating their oil pastel and collage masks. 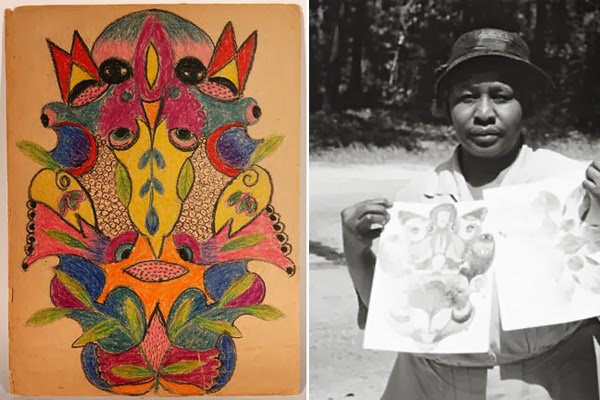 They just began a new project based on the symmetrical art of the North Carolina based artist Minnie Evans. 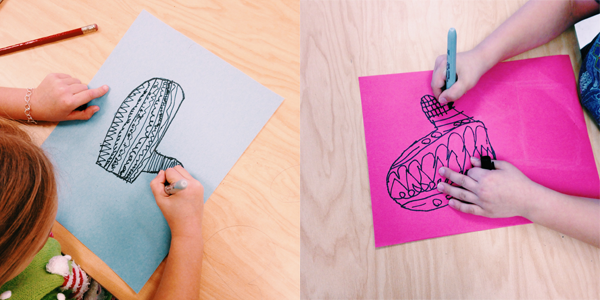 We are exploring symmetry and value with this fun project. More photos to come as students get farther along. 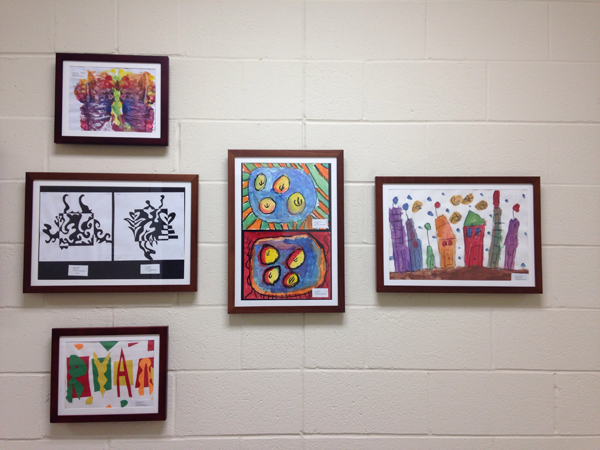 3rd grade recently completed a weaving project. 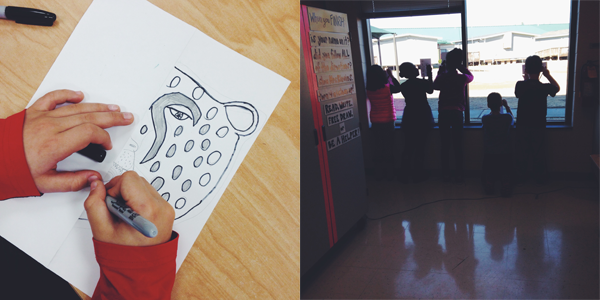 We looked at Native American weavings while learning some weaving vocabulary. 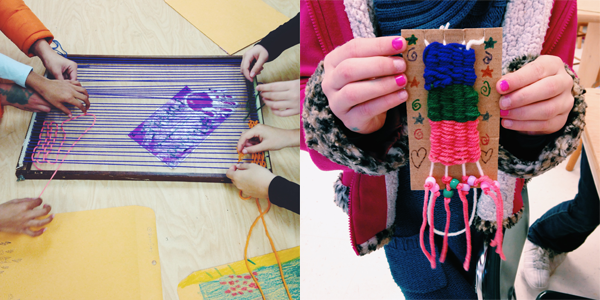 They created small looms for their own necklace weavings, and then they weaved together on a larger loom. 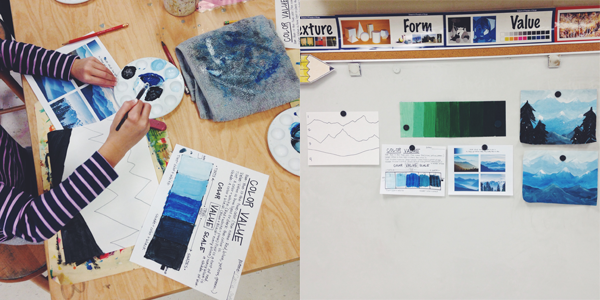 They just began a project all about color value. 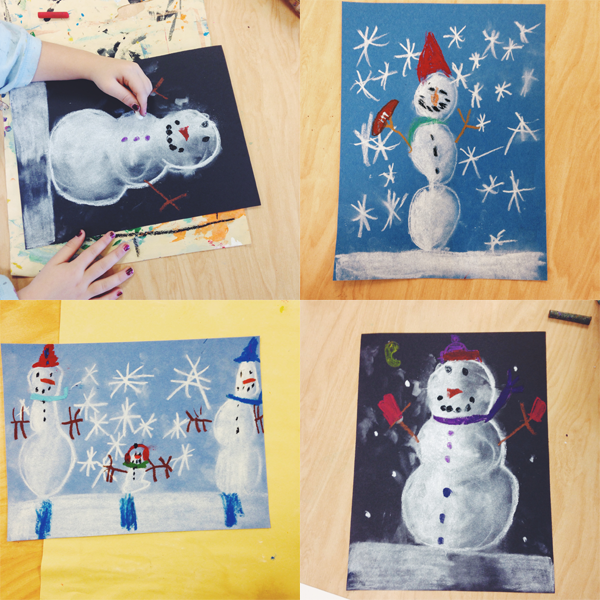 They are creating winter mountain landscape paintings. 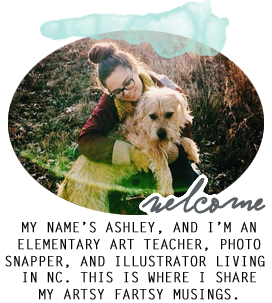 Keep an eye out for some photos once they are complete! 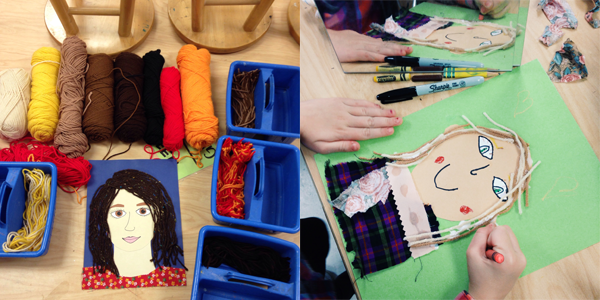 2nd grade created multi-media self-portrait collages using paper, fabric, yarn, and crayons. 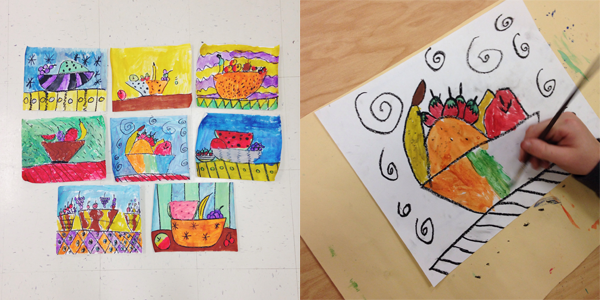 After that, they created fruit still life paintings. 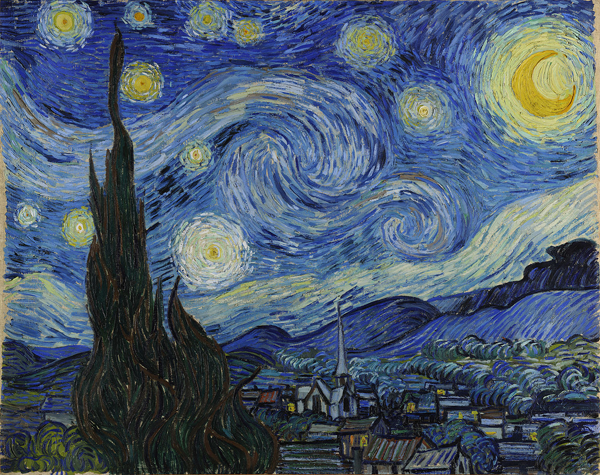 They are in the process of completing warm and cool color "Starry Night" works in oil pastels. 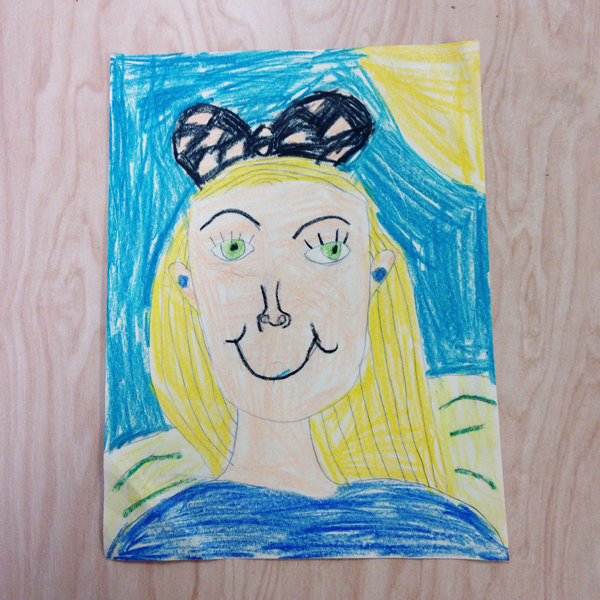 These little Van Goghs sure know how to blend those pastels! 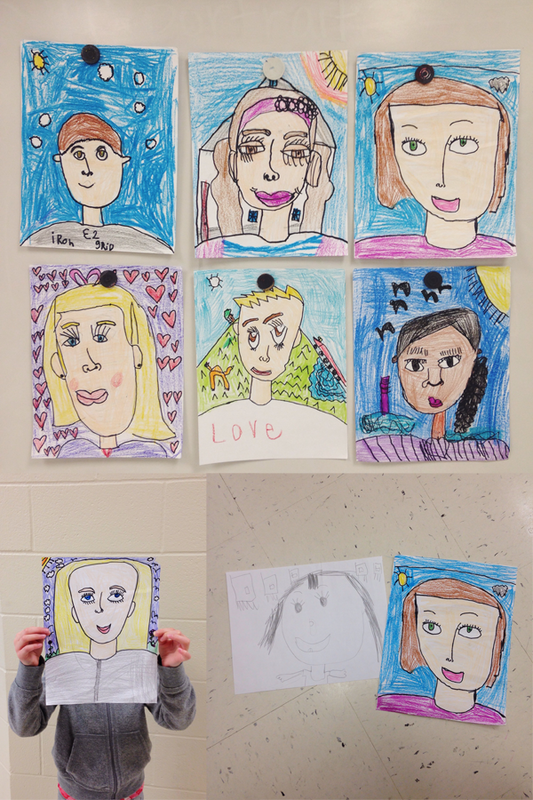 1st grade completed their pre and post self-portraits for the year. 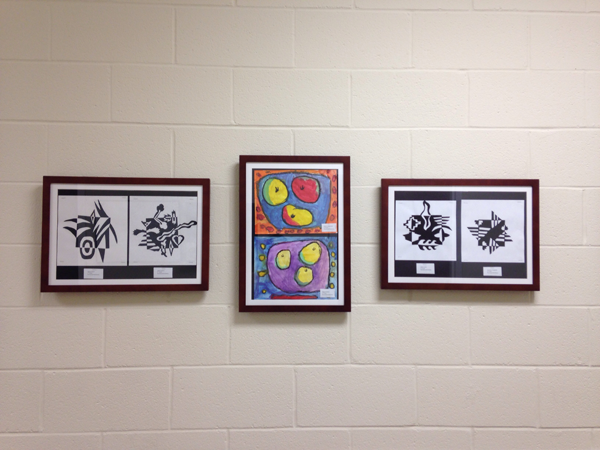 Check out that progress! 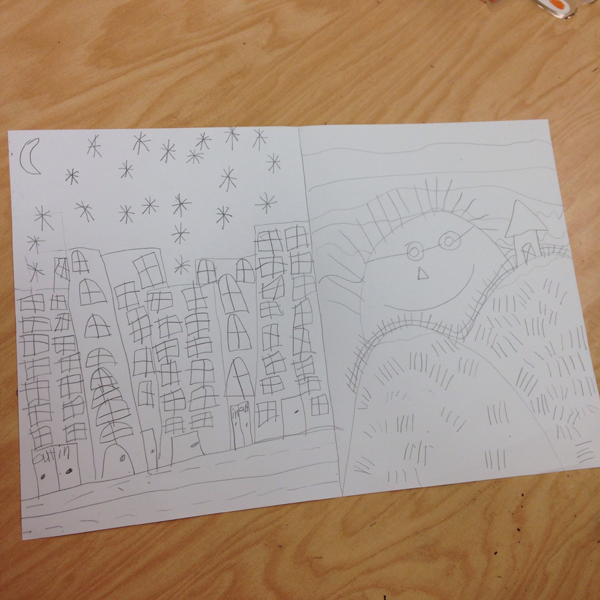 They also reviewed some art vocabulary with cityscape and landscape comparisons. 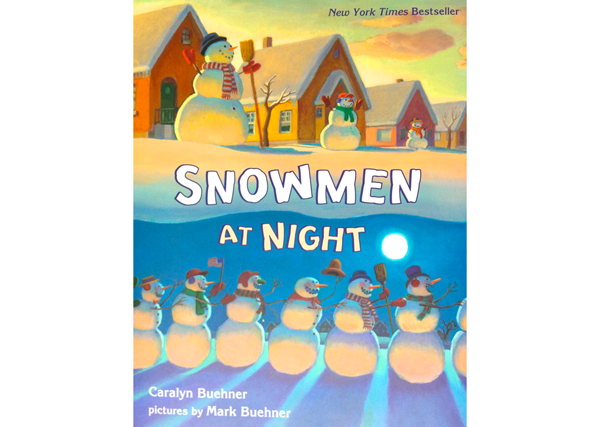 They are currently reading "Snowmen at Night" while they learn about color value. Check out that chalk shading! 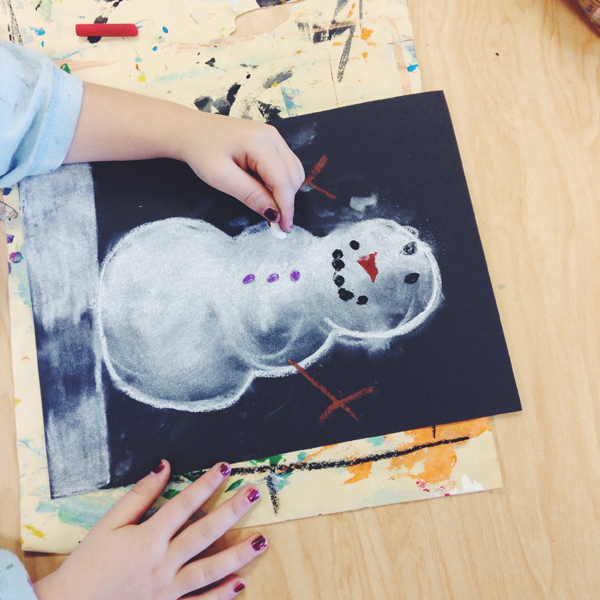 Kindergarten recently finished their self-portraits too, and also created value snowmen. 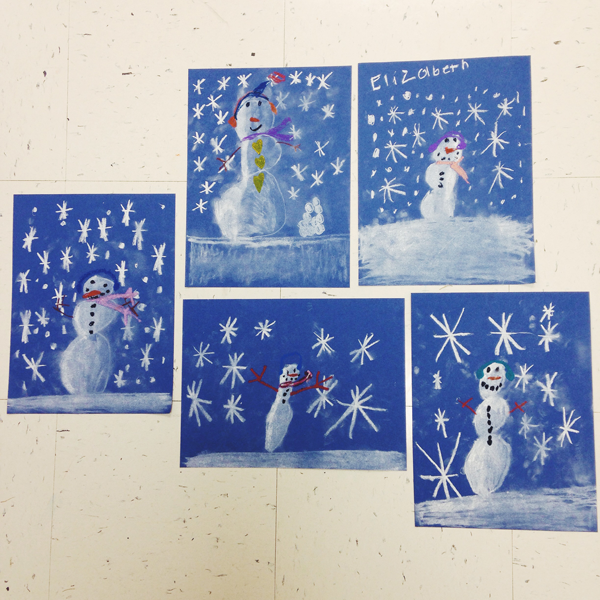 This was their first time using chalk in the art room our first exposure to color value. 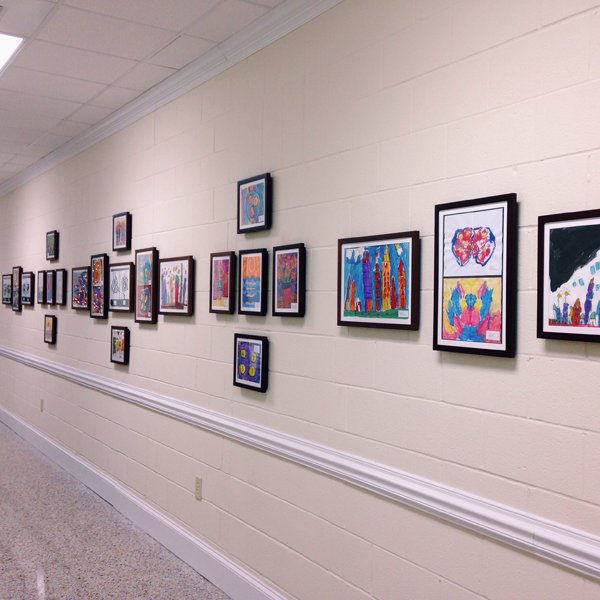 They did such a great job! 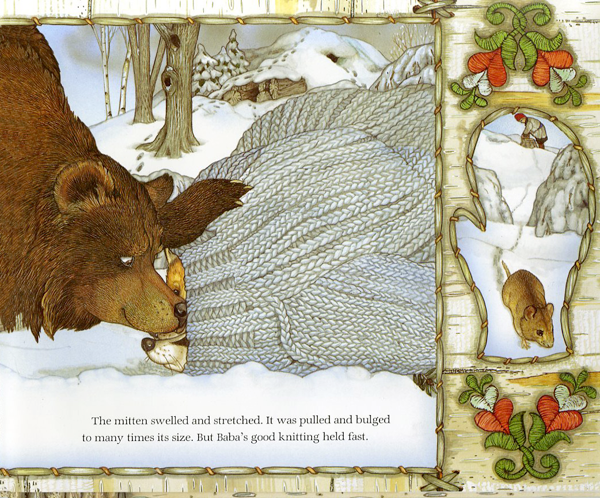 They are currently reading "The Mitten" and creating their own line and texture mittens. What will they put inside? 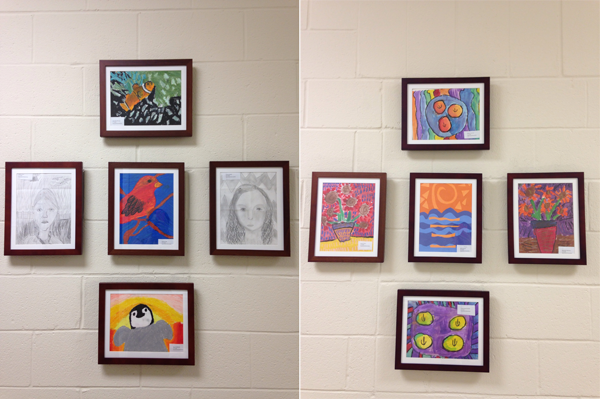 We also currently have some art on display at county office!